South Floridians love a good Cuban sandwich. After all, what’s not to love about ham, roasted pork, Swiss cheese, mustard, and pickles heated between crispy, pressed Cuban bread? Yet there are so many more types of “Cuban” sandwiches that are equally delectable. 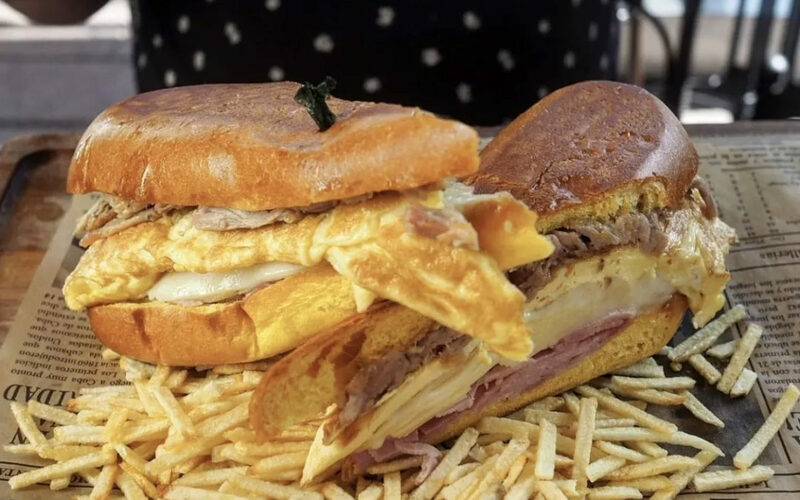 There’s also the Miami sandwich (ham, turkey, bacon, lettuce, tomato, swiss cheese and mayo on Cuban bread), pan con bistec (a thinly cut seasoned steak sandwich topped with onions), media noche (a Cuban sandwich made with a sweet, egg-based bread) croqueta preparada(ham, swiss, and croquetas housed inside Cuban bread), pan con lechon(a Cuban version of a pulled pork sandwich), pan con tortilla (omelette sandwich), pan con minuta (fried snapper sandwich), and the Elena Ruz(cream cheese, strawberry jam, turkey on a sweet, egg-based bread).